Our roof replacement process is actually quite simple. Initially, we will do a thorough cost replacement analysis. 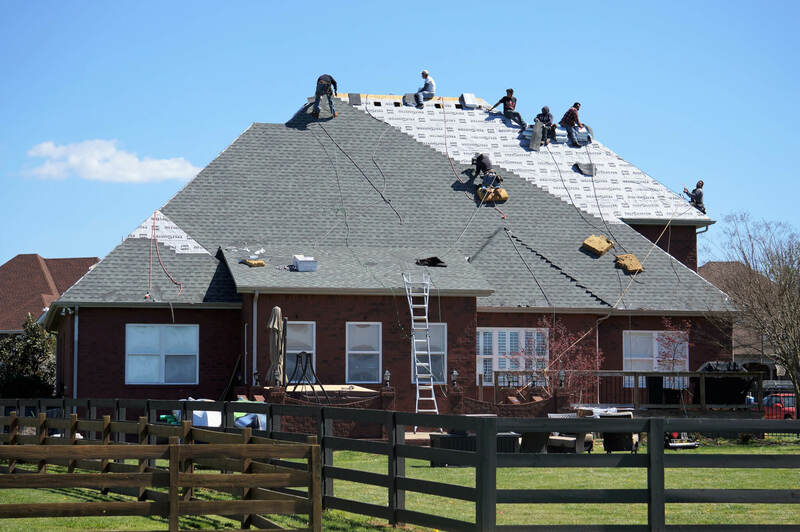 We’ll look at the roof— specifically, the overall condition of it and the age of the roof based on the state of the shingles. Next, we’ll assess the repairability factor; we’ll check to see if we believe the roof is structurally sound enough to be repaired and if it makes financial sense for the homeowner to do so. If all of these factors point to yes, we’ll make a recommendation for the appropriate repair. If we believe your roof is beyond repair, or that it would cost more to have it repaired than to replace it outright, then the majority of the time we’ll recommend that you opt for replacement. We also need to consider whether the homeowner plans to file an insurance claim to replace their roof or if the homeowner plans to pay cash. Our extensive experience working with insurance companies enables us to determine if the homeowner will have any luck with their claim. If the damage is storm-related, we always recommend that you file an insurance claim. After all, that’s why you pay your insurance! It’s a different situation than if the damage is the result of a manufacturer defect or simply old age— this is something the insurance company should pay. However, each situation varies, based on the age of the roof as well as the roof’s installation. We have our HAAG certification, and this has proved to be a tremendous benefit for our clients. What does that mean? It’s a guarantee that we’re going to inspect each roof precisely as an adjuster would. We use chalk or a camera, inspecting the full roof and marking everything exactly like an adjuster, and we also do a systematic check. This tells us what the adjuster will find when they do their examination, and there will be no surprises when we get the verdict as to whether we’ll be doing a repair or a replacement.